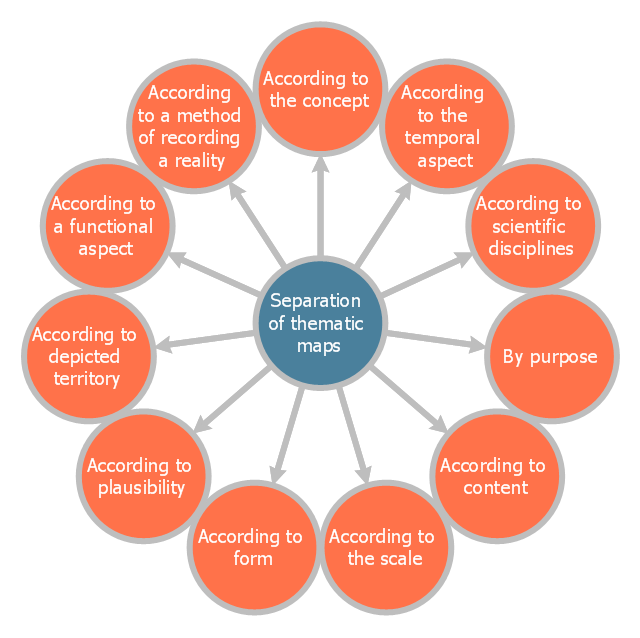 Thematic maps serve three primary purposes. 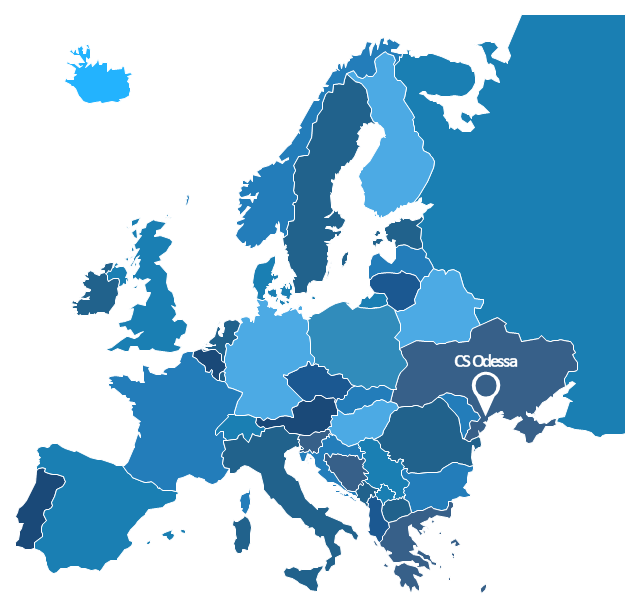 First, they provide specific information about particular locations. Second, they provide general information about spatial patterns. 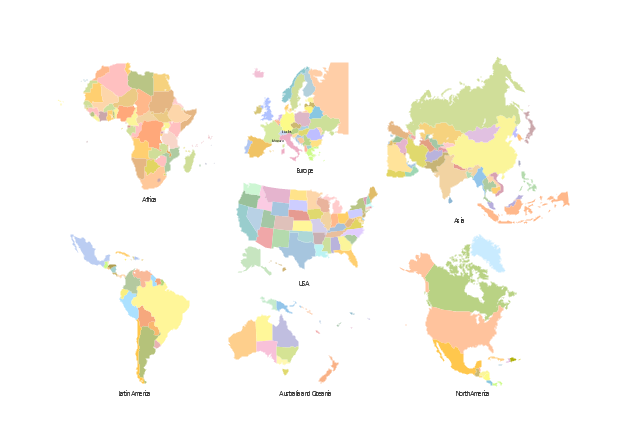 The vector stencils library "Thematic maps" contains 7 continent map contours for creating the thematic maps of geographic regions displaying the metric values by countries, states and territories marked by different colors. 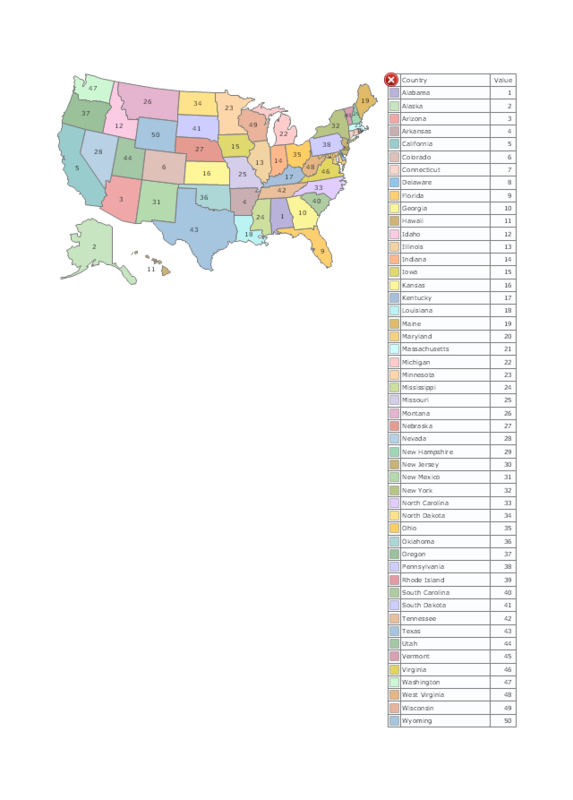 Use the design elements library "Thematic maps" to create spatial dashboards using the ConceptDraw PRO diagramming and vector drawing software for your Spatial Intelligence and Location Intelligence business practice. This circle-spoke diagram sample shows the basic division of thematic maps. 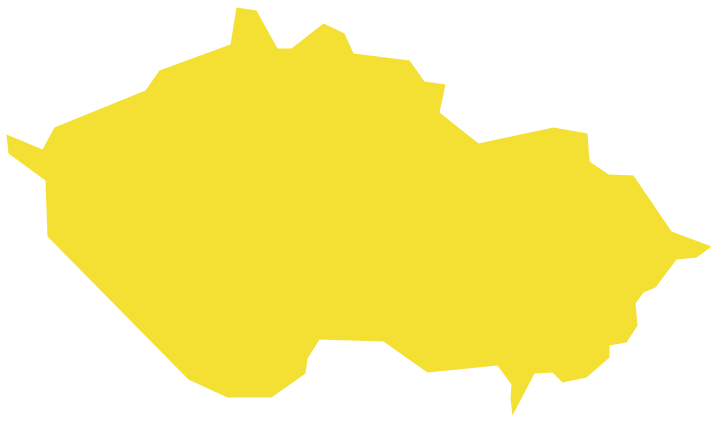 It was designed on the base of the Wikimedia Commons file: Dělení tematických map.png. 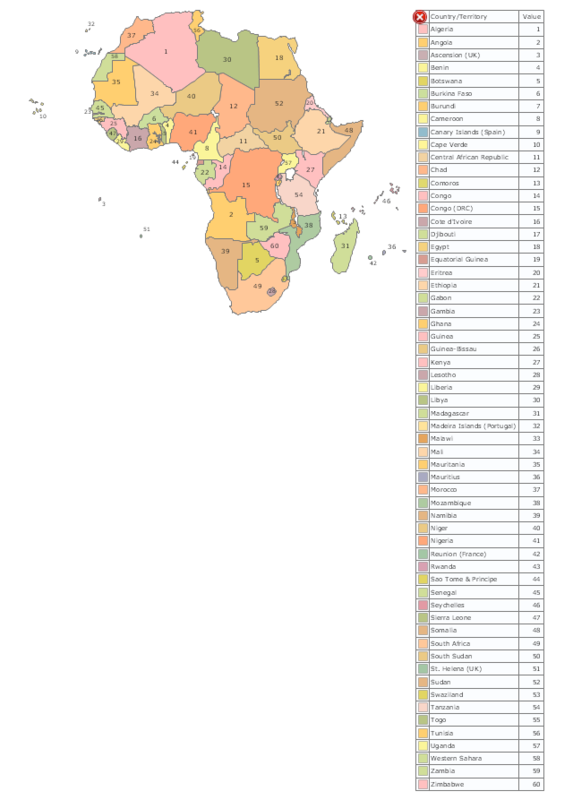 "A thematic map is a map that focuses on a specific theme or subject area. This is in contrast to general reference maps, which regularly show the variety of phenomena — geological, geographical, political — together. 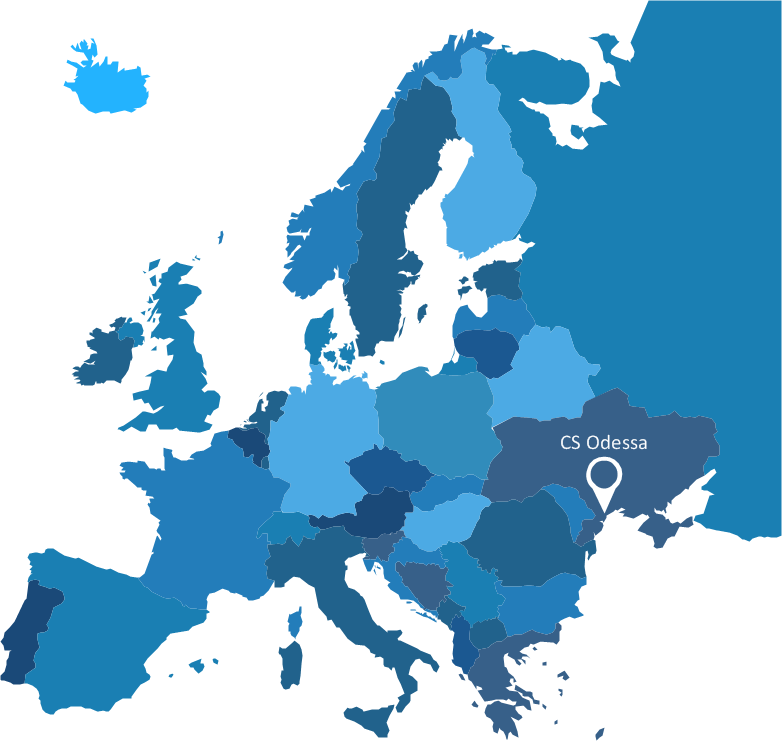 The contrast between them lies in the fact that thematic maps use the base data, such as coastlines, boundaries and places, only as points of reference for the phenomenon being mapped. 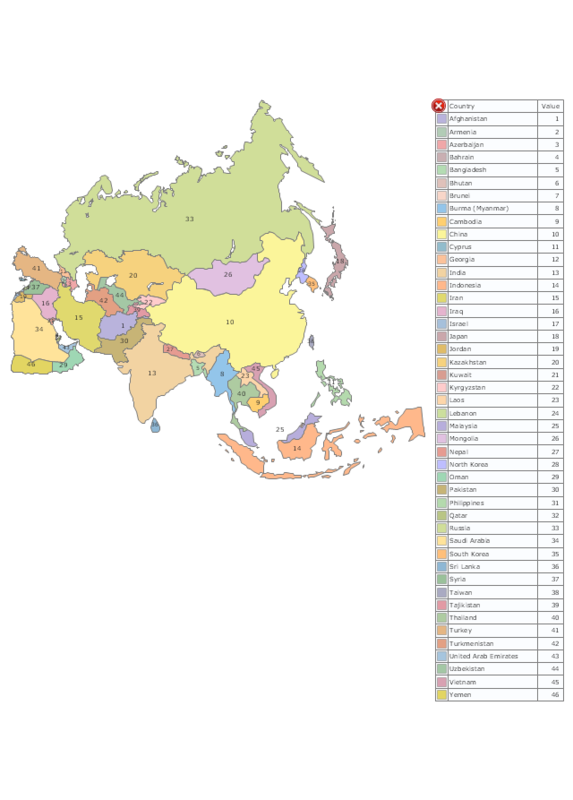 General maps portray the base data, such as landforms, lines of transportation, settlements, and political boundaries, for their own sake. 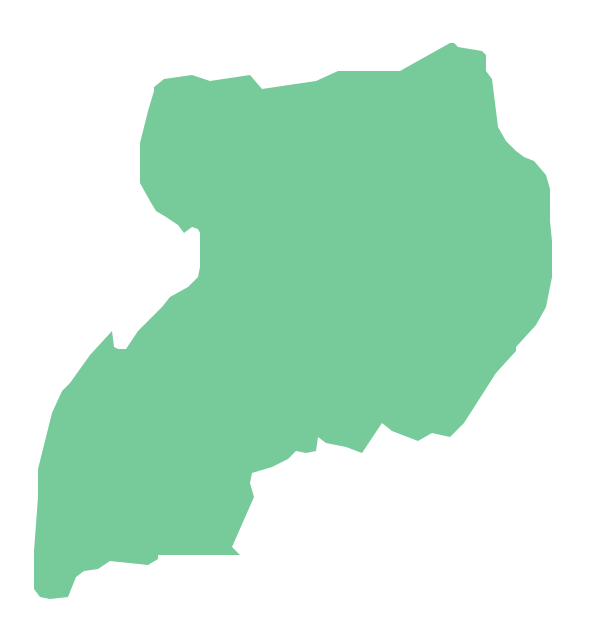 The vector stencils library "Thematic maps" contains 7 continent map contours. "Spanish and Portuguese are the most spoken languages in South America, with approximately 200 million speakers each. Spanish is the official language of most countries, along with other native languages in some countries. Portuguese is the official language of Brazil. Dutch is the official language of Suriname; English is the official language of Guyana, although there are at least twelve other languages spoken in the country, including Hindi and Arabic. English is also spoken in the Falkland Islands. French is the official language of French Guiana and the second language in Amapá, Brazil. 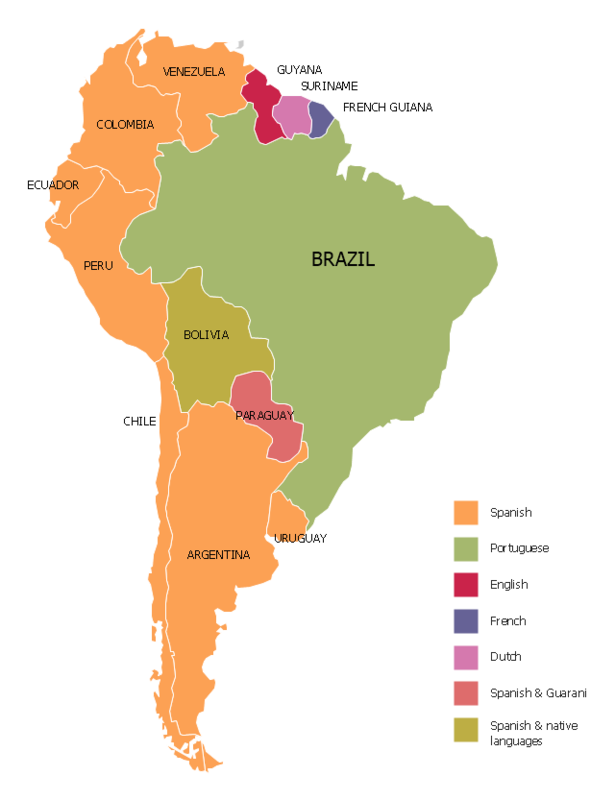 The Languages of South America map example was redesigned from Wikimedia Commons file: Languages of South America (en).svg. 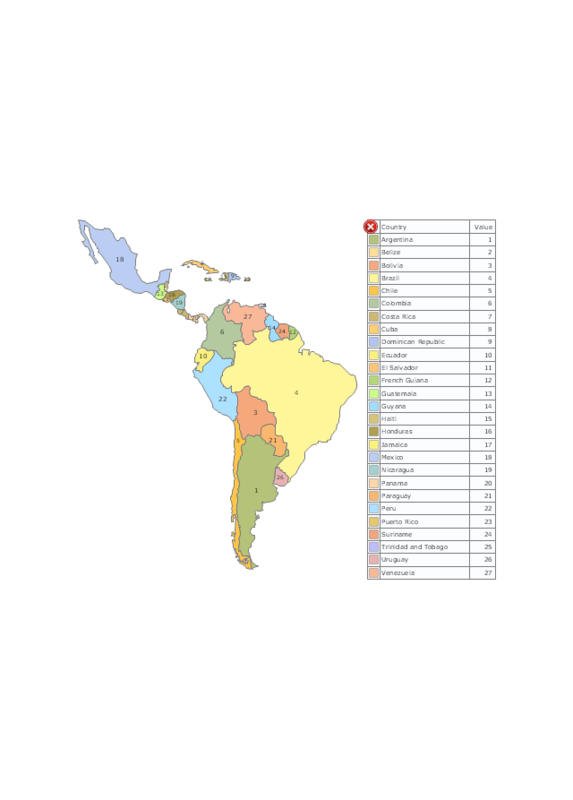 The Languages of South America map example was drawn using ConceptDraw PRO diagramming and vector drawing software extended with design elements library South America. 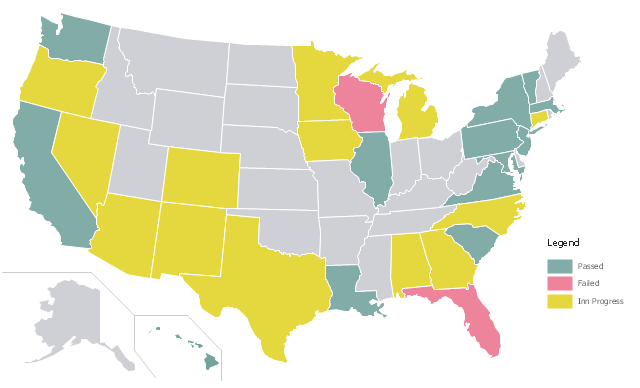 A color-coded map showing US state-by-state status of Benefit Corporation legislation.